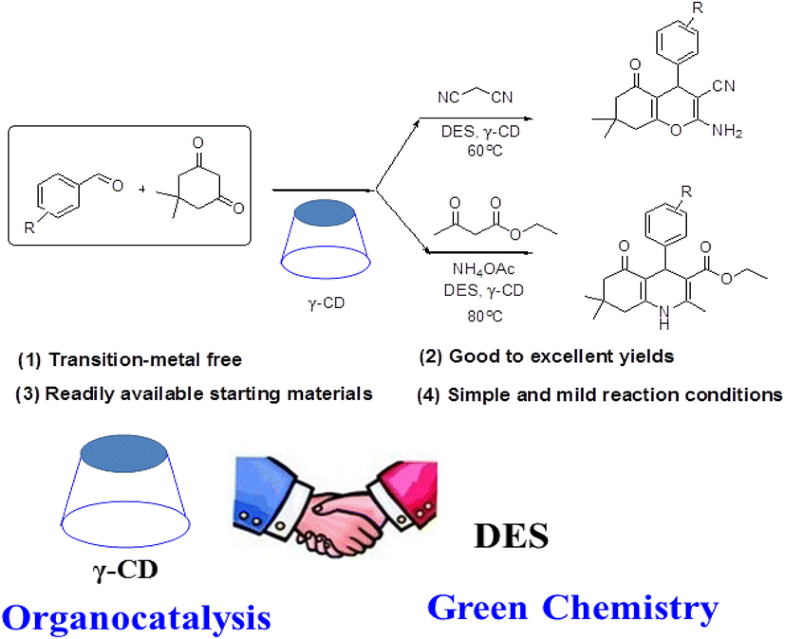 A simple, highly efficient and green route for the synthesis of 2-amino-4H-benzo[b]pyrans and 1,4-dihydropyridines has been developed by using γ-cyclodextrin (γ-CD) as catalyst in deep eutectic solvent (DES) of urea-choline chloride (urea-ChCl), for the first time, accomplished via a one-pot, three-component strategy. All the reactions were successfully carried out under mild conditions and gave good to excellent yields (86–98%) in 8–28 min in the presence of 5 mol% of the γ-CD catalyst. The short reaction time, green reaction medium, moderate reaction conditions, simple work-up procedure and use of easily available reagents are the attractive features of this novel synthetic method. More importantly, the urea-ChCl-γ-CD catalytic system was regenerated and reused up to 6 times with a slight drop in the product yields. 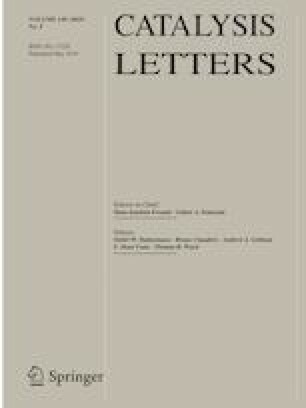 The online version of this article ( https://doi.org/10.1007/s10562-019-02767-x) contains supplementary material, which is available to authorized users. This work was financially supported by the National Natural Science Foundation of China (21004024), the Natural Science Foundation of Fujian province (2016J01063), the Program for New Century Excellent Talents in University of Fujian province (2012FJ-NCET-ZR03) and the Promotion Program for Young and Middle-aged Teacher in Science and Technology Research of Huaqiao University (ZQN-YX103).